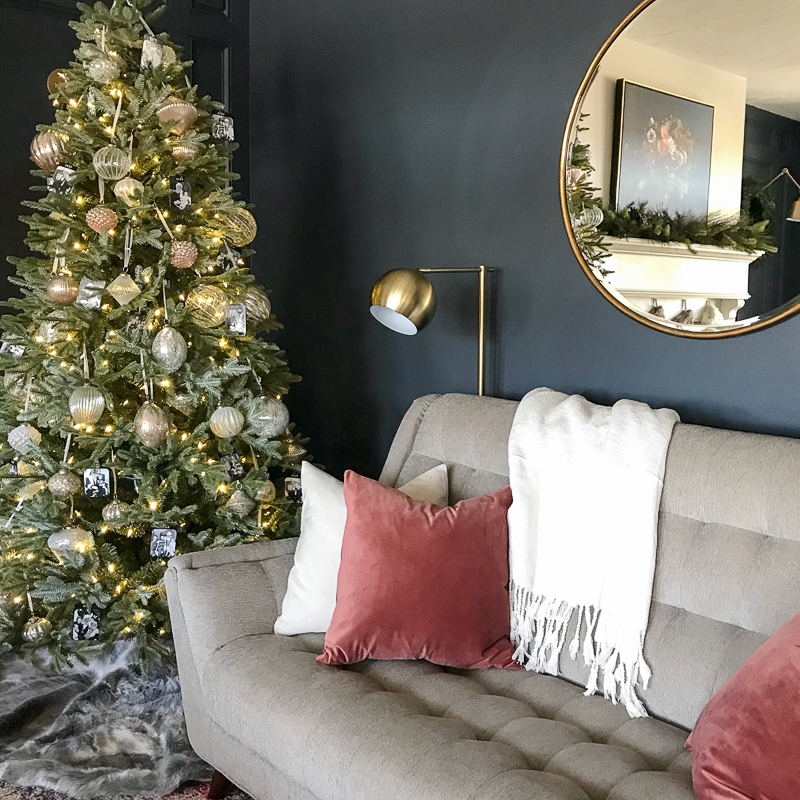 Simple Christmas Home Tour - Sincerely, Sara D.
I am excited to be a part of the Seasonal Simplicity Christmas home tour. 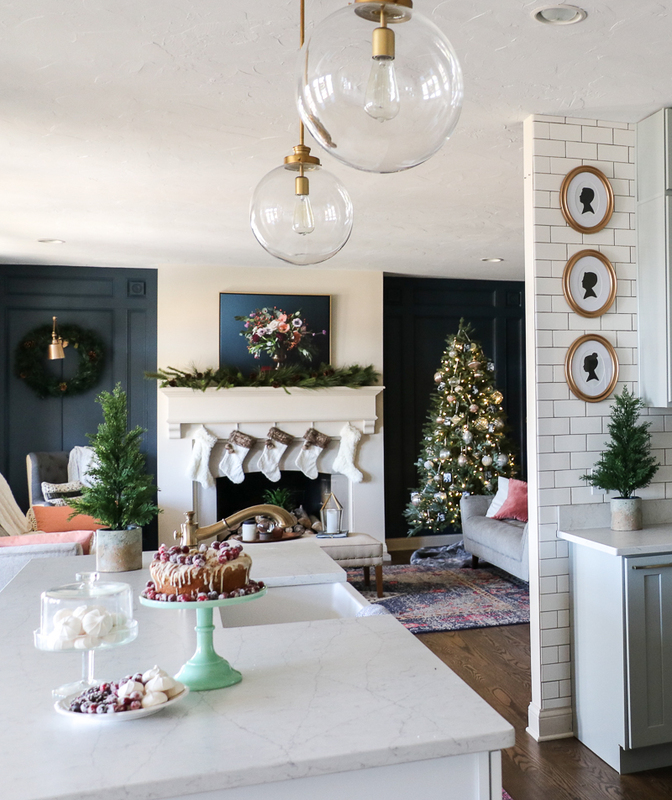 I had to miss the fall blog hop because we were in the middle of a DIY kitchen remodel (to see more on that journey, go HERE)! If you are here from Making Home Base, welcome! 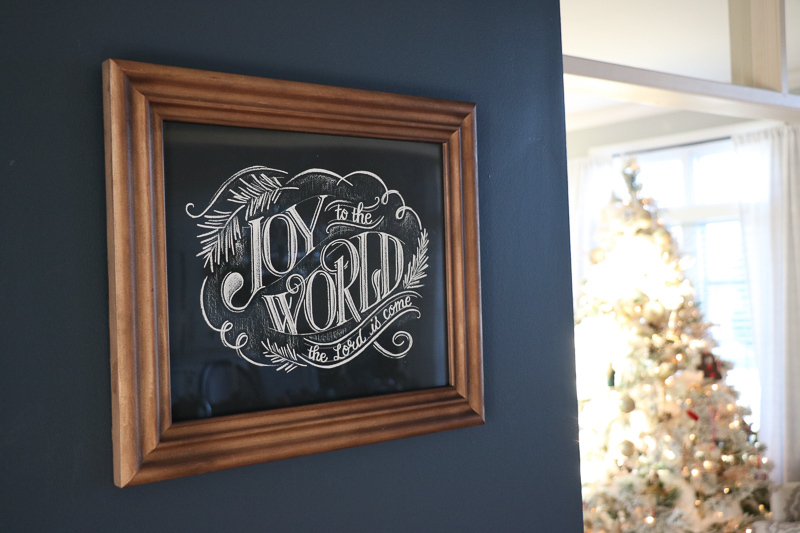 With all the craziness of the kitchen remodel, my Christmas decor is pretty simple this year. 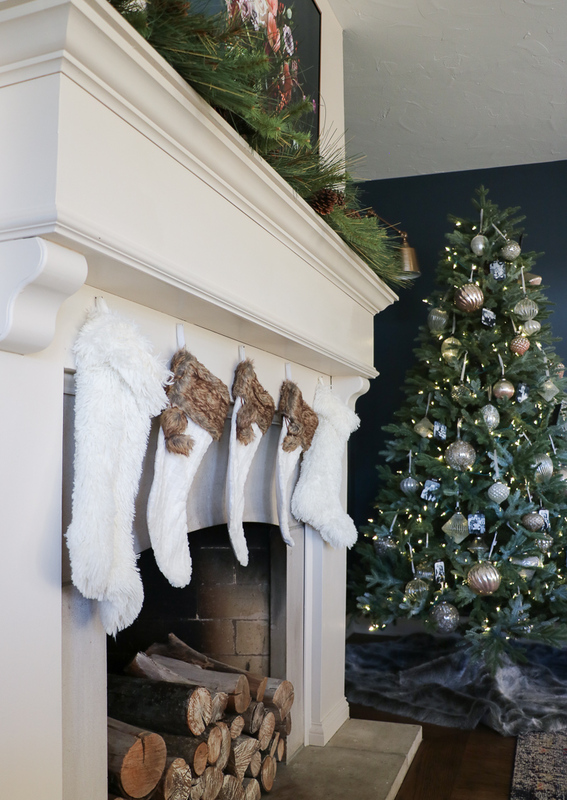 One of the two Christmas trees is in the family room along with some greenery on the mantel, stockings and a wreath. 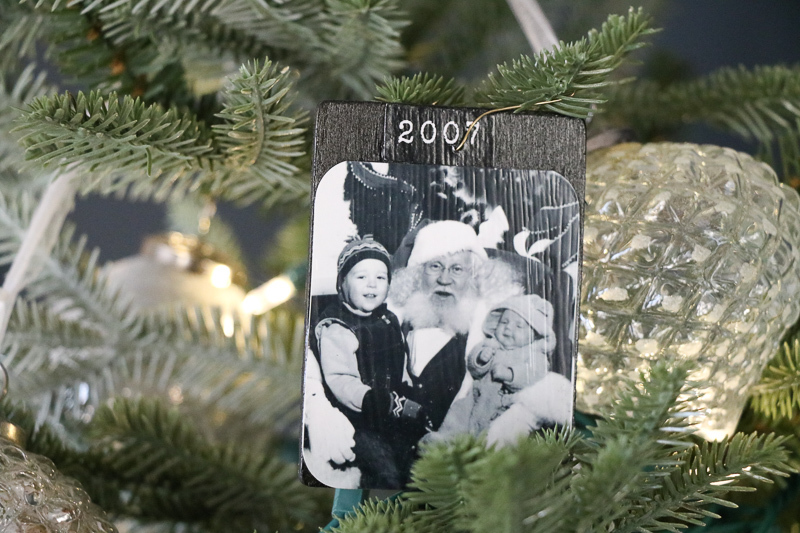 The tree is filled with metallic neutral ornaments and little DIY santa photo ornaments. I absolutely adore putting up these handmade ornaments every year. 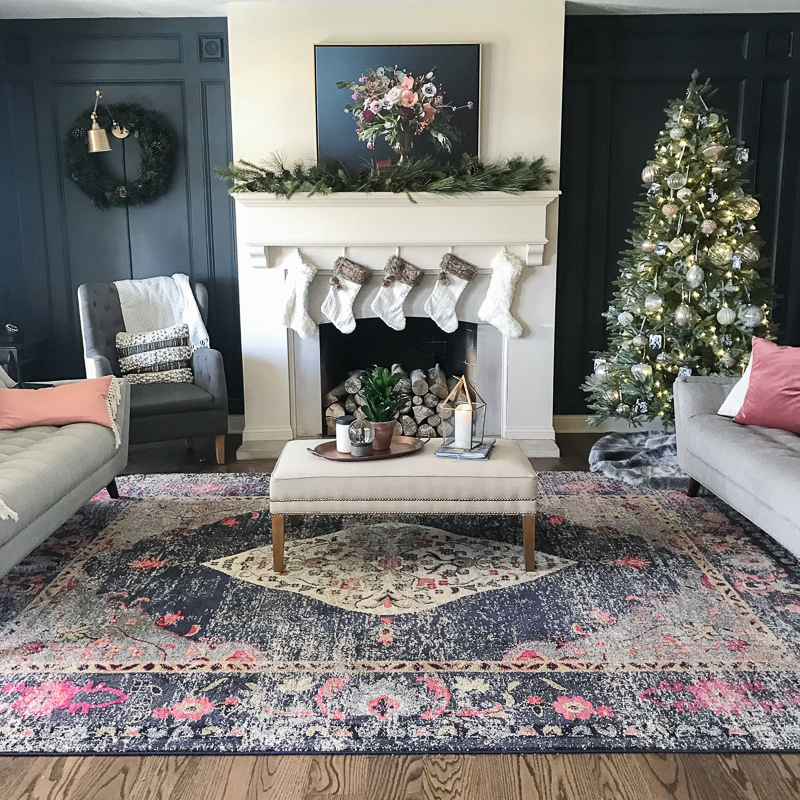 The navy walls are new to the space this years and have changed the look of my holiday decor simply by changing the backdrop of the room. 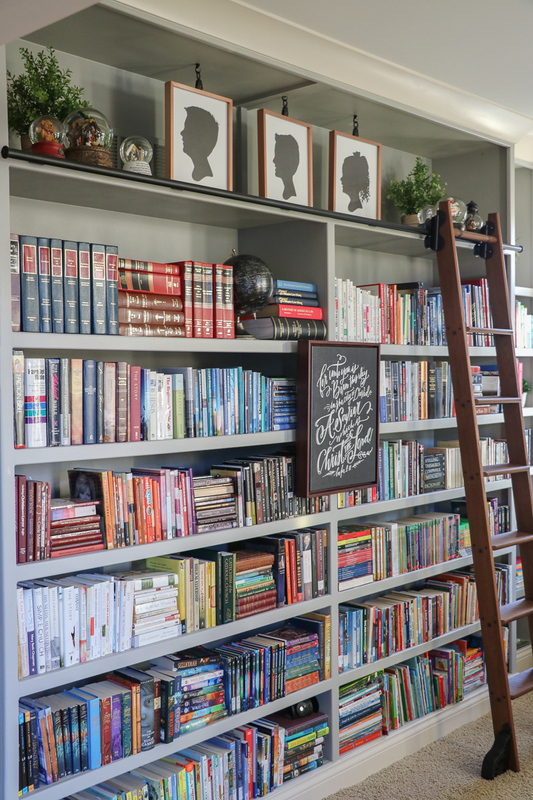 In the kitchen nook, the DIY open shelves are a recent add to the DIY shiplap wall. 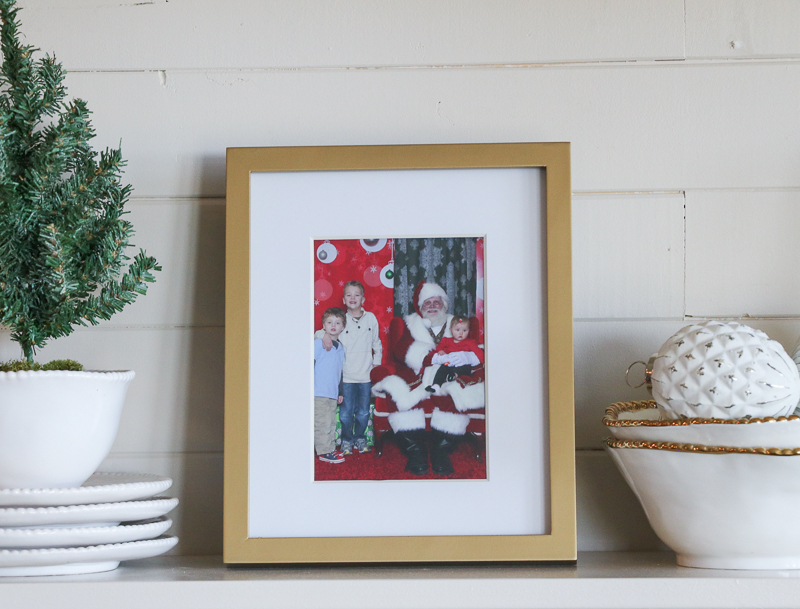 The shelves are filled with my kids’ santa pics through the years. It is pretty obvious how special these photos are to me – I love how you can see them grow from year to year. 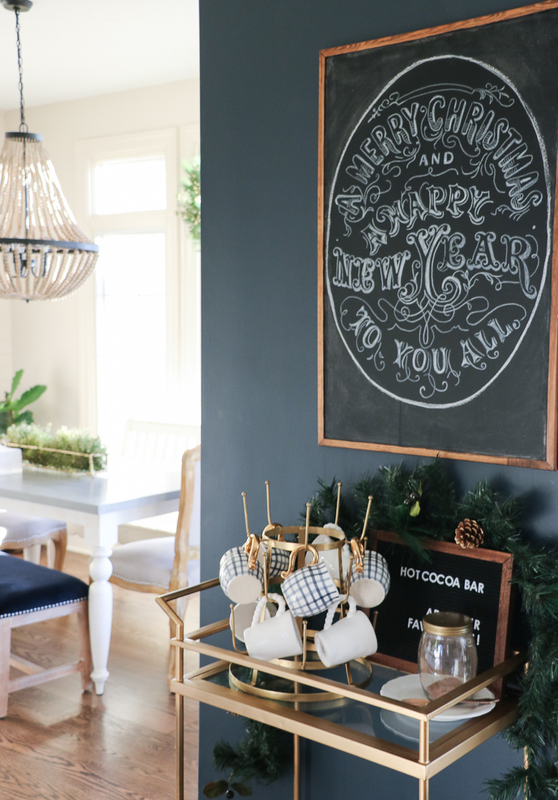 Right off the kitchen, is a cute little hot cocoa bar. 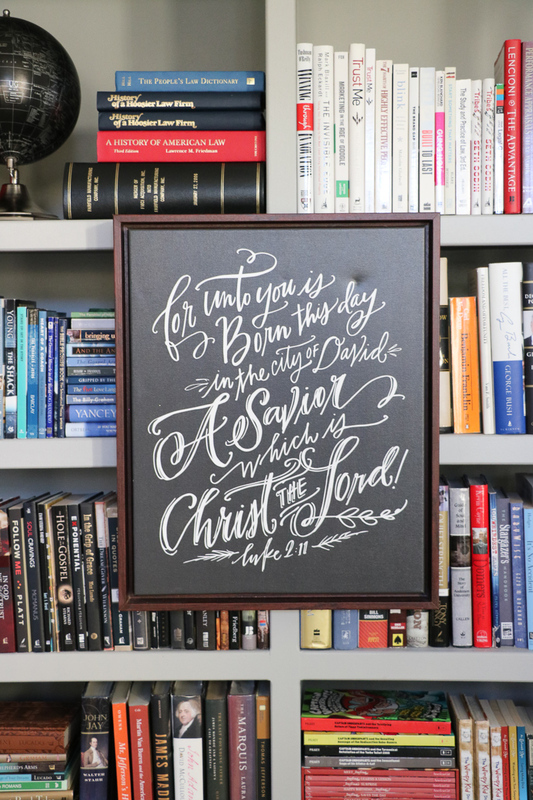 I am a huge fan of my friend Cara’s chalkboard art of Word for Word Chalk Art. Our second tree is in our library/music room. 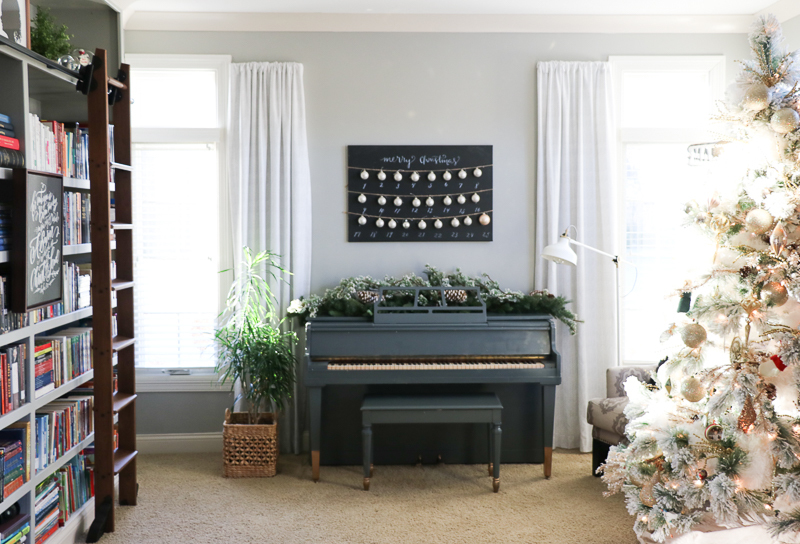 This room was my home office, but the piano lost its wall during the kitchen remodel. The $50 painted piano was moved, and I feel so fancy calling the space the music/library room. 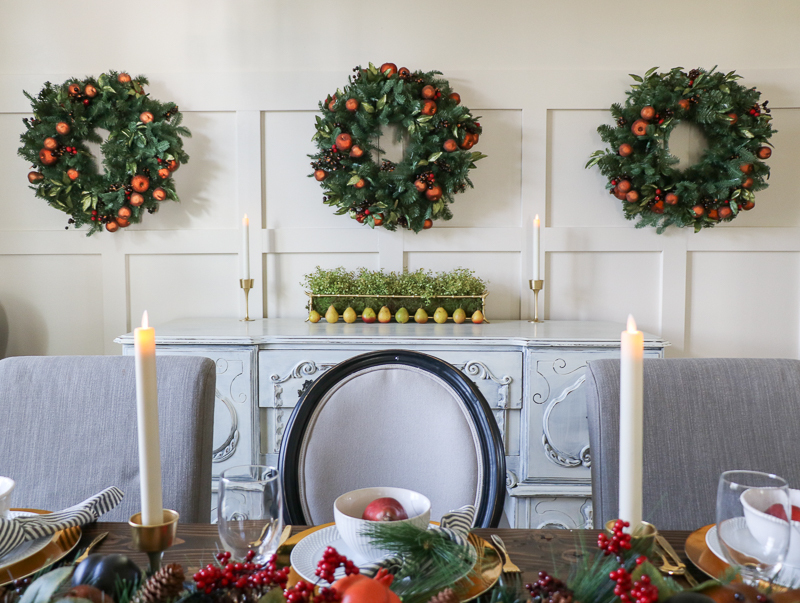 The dining room was decorated earlier this fall with greenery that works well for Thanksgiving as well as Christmas (go here to see more on the tablescape and wreaths). The chalkboard name plates are also a creation by my friend Cara. 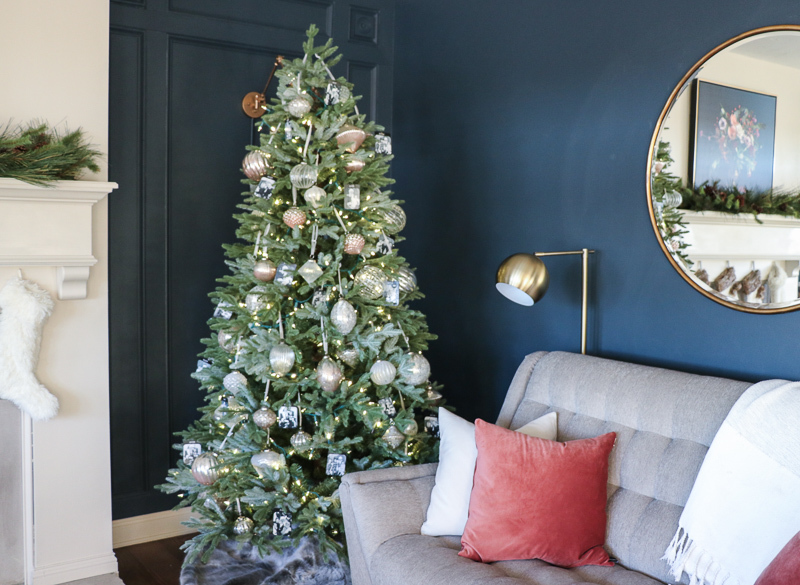 Thanks so much for taking the time to tour my home all (simply) decked out for the holidays! 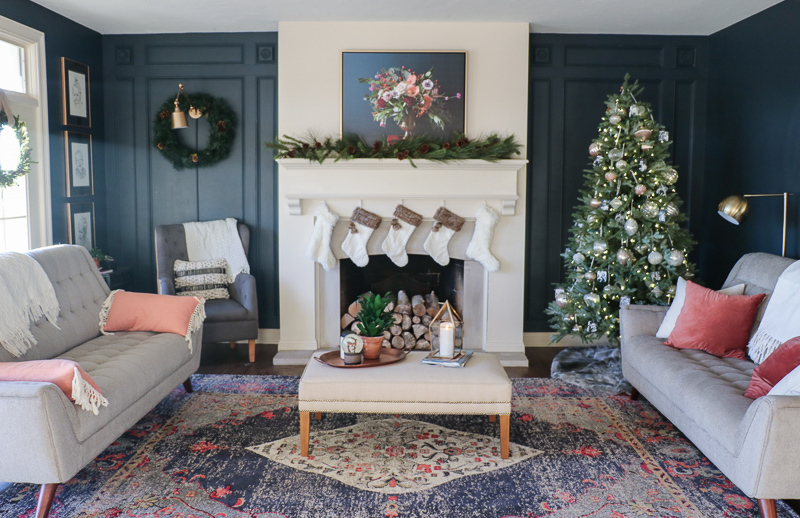 Go see Just a Girl and Her Blog for more holiday inspiration! Stunning! 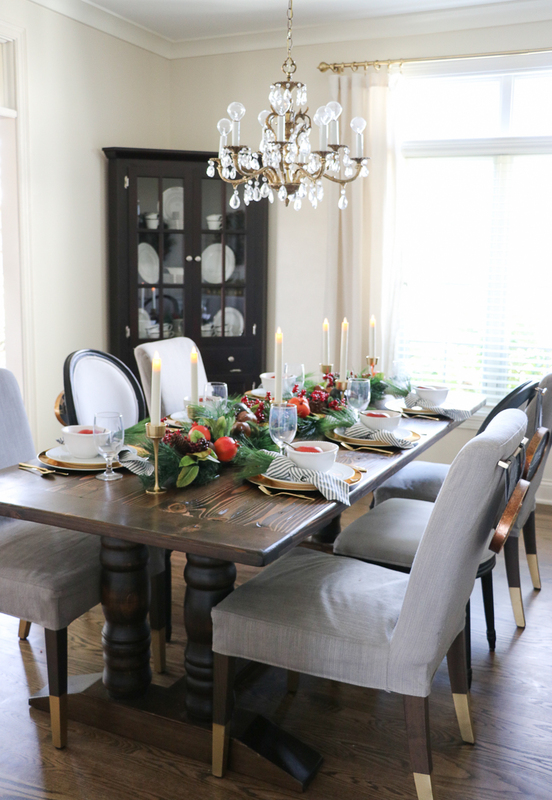 It’s so refined and perfectly Christmas with just the right touches. Where is the Luke 2 and giant floral art from? Sara! You have such a stunning, elegant home! I love every bit of it!! Gorgeous inspiration:) Thanks for joining in on this tour with us!! Thanks Krista, and thank you for hosting and organizing such a fun tour! Simple is GOOD! 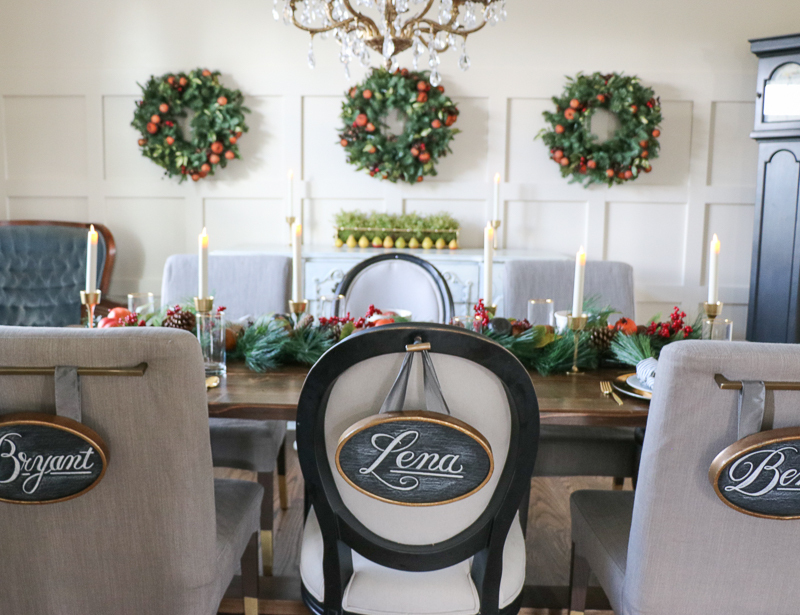 I love your dining room – gorgeous wreaths and those chalk name plates are adorable! 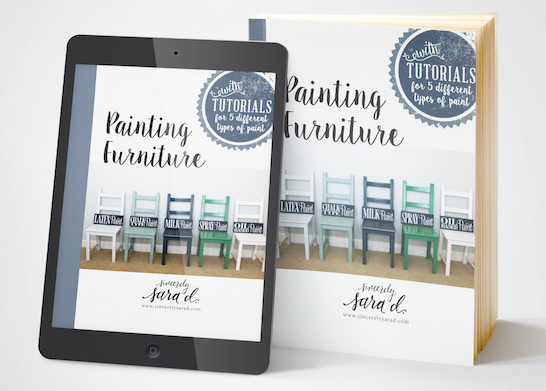 Thanks for sharing – it looks fantastic Sara. Thanks Jenny! I appreciate your sweet words. Merry Christmas! 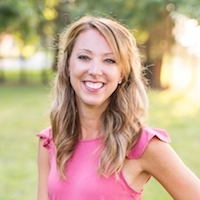 Thanks for stopping by Kristy – it’s so good to hear from you! Enjoy your week and Merry Christmas! It all looks gorgeous, Sara! I absolutely love your style! It was so fun being “on tour” with you this week! Hope you have a great weekend! Thank you Abby! 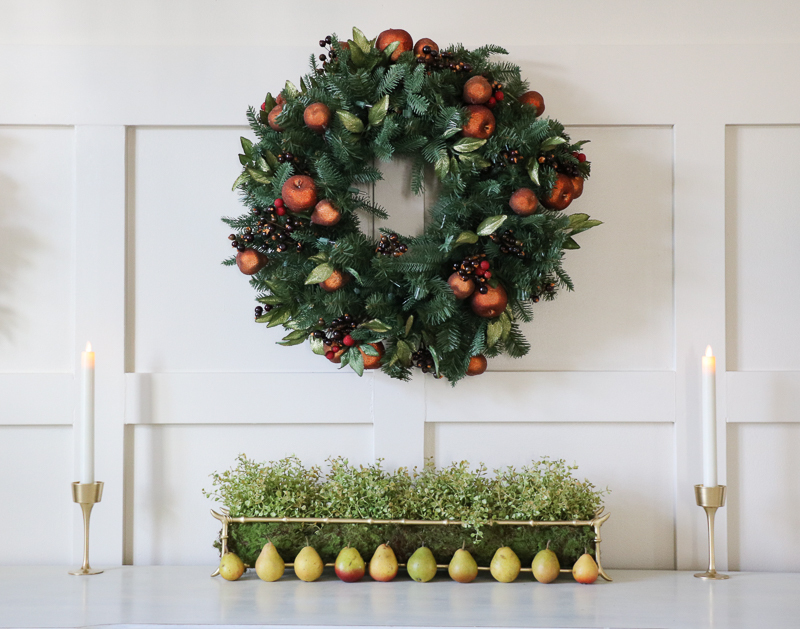 This tour was filled with so many pretty things – Merry Christmas! SO BEAUTIFUL! 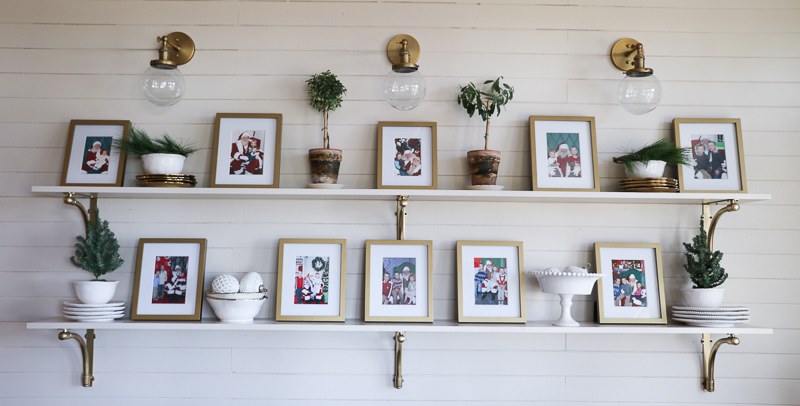 Love your shiplap wall and Santa Pictures! What a great idea. Everything is stunning and festive! Thank you Laura – Merry Christmas! Sara, this is absolutely stunning! I love every detail!! Your new kitchen is gorgeous and dying over your living room. 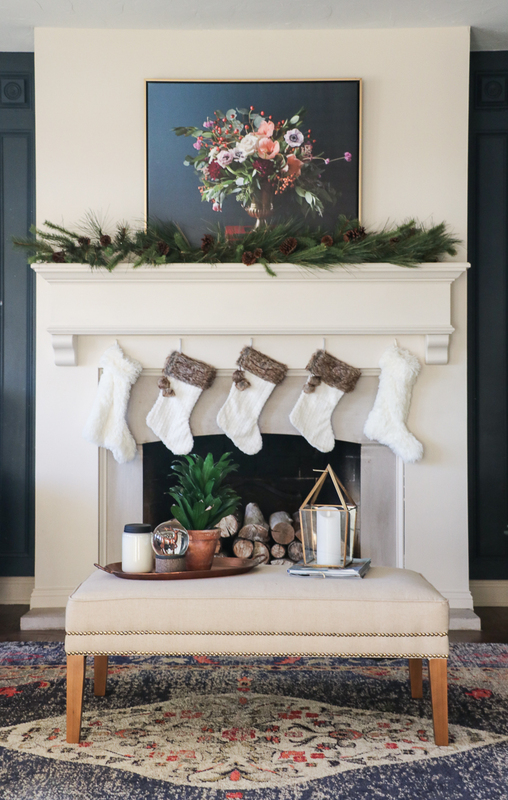 Where did you get that print from above your fireplace? Hey Jamie – thank you so much! 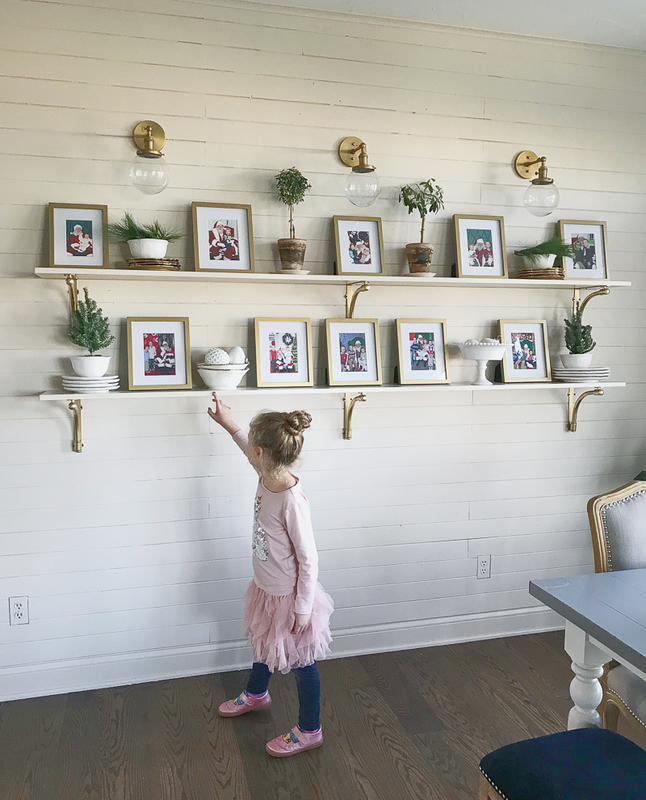 The print is a photo floral canvas from Lindsay Letters. Have a Merry Christmas and a Happy New Year!